Toby Johnson's beloved "gay spiritual, fantastical romance novel" is back in print. ...along with just a touch of the Twilight Zone. 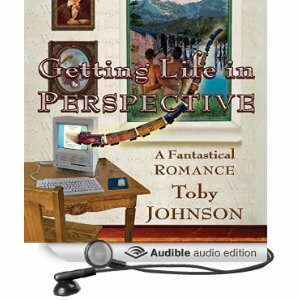 “Getting Life in Perspective” by Toby Johnson is an amazing novel. 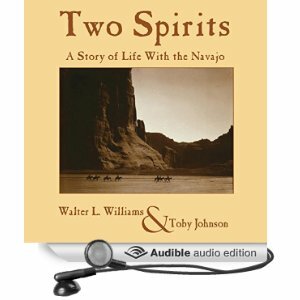 With everything from Walt Whitman to Joseph Campbell to the mystics of the Far East, this story is dense with teachings, philosophies, and life lessons. It truly has the potential to change your life. 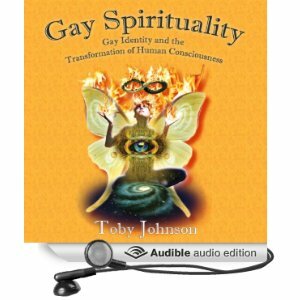 This book is about gay spirituality and gay sexuality and the universal life experience. It is told in an engaging and emotional way. The characters are vivid, the environment colorful, and the events totally believable. There are many layers within this story. It is wonderful how the author creates two different eras ~ 1890s and the 1980s; yet, these separate times emphasize the commonality/ the universality of all eras. 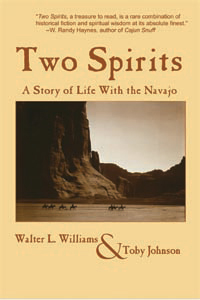 Within this book is the story of two gay young men finding themselves and their love in the 1890s. They tell their story to a gay man living in the 1980s who is struggling to come to terms with his own mortality and the AIDS epidemic to help illuminate his own life. 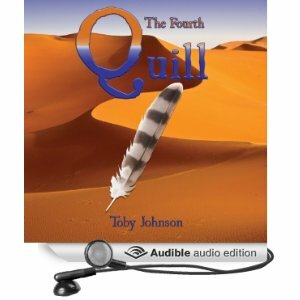 All this is told in a way to help enlighten the reader’s connection with the universal themes of life, love, mortality, sexuality, and spirituality. It should be noted that because of the serious way the author treats the subject matter, this book is not for anyone desiring a light, escapist read; but, for those willing to make the effort, it is very rewarding! Particularly successful is the relationship between the two spirits of Tom and Ben. Their association, starting as far back as the 1890’s, is an enduring love affair that survives minor indiscretions on each character’s part, and seems unshackled by the confines of mortal time, sustained by a true and fundamental bond between the two, a kind of emotional depth that is scant in most literature today. What was most fulfilling was that, in having the character of Rick, our modern novelist, look back into the lives of these two creations, the reassurance could be found that, yes, this was something as achievable now as it was then, that a bond could be forged as strong as theirs, and so the trick is played: the reader becomes the student just like the character Rick himself does, his omniscience over his characters turning on its head as they take on a life of their own, and teach him what he needs most to know. 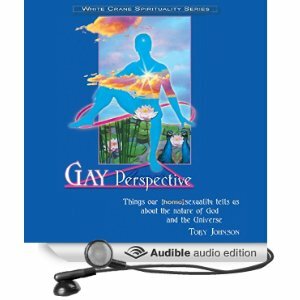 In Getting Life in Perspective we find a story that tackles sexuality – not just homosexuality, but what underpins all primal energies in the human psyche – and which has countless references to Joseph Campbell, to the Hindu faith, and to such poetic mystics as Walt Whitman, and for anyone looking for an introduction into such metaphysics, this book, with its lovely allegories, would be an excellent place to start. For once, this is not a story trapped in the apparent superficiality of gay culture, but rather a novel that celebrates the thinking man’s brand of decadence, and as such, it is perhaps possible to say that, in time, this title from Lethe Press… might become a classic amongst gay fiction, and maybe even fiction as a whole.